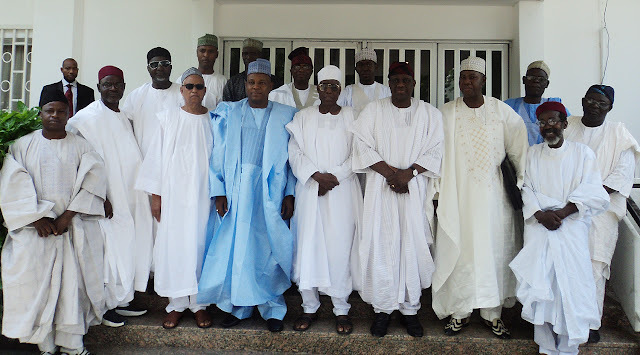 Following threat by the Indigenous People of Biafra (IPOB) to declare 30th of May as a sit-at-home day, the Arewa Consultative Forum (ACF) has advised the governors and elders from the South-East to call their wards to order. ACF while reacting to the statement by IPOB, ordering people to sit at home, described it as destructive to national cohesion. It cautioned group to desist from making moves capable of causing chaos in the country. The forum’s National Publicity Secretary, Muhammad Ibrahim Biu in a statement recalled that the sit-at-home order of last year by the IPOB did not only infringe on the liberty and rights of innocent and law abiding citizens residing in the South-East zone of the country, but was also hijacked by hoodlums who unleashed terror on non-indigenes. “The attention of Arewa Consultative Forum (ACF) has been drawn to a press statement by Indigenous People of Biafra (IPOB) which was proscribed by the Federal Government last year, again declaring May 30th this year as a sit-at-home day in honour of not only for a Biafra state but also for those alleged to have been killed by herdsmen in 20 states of Nigeria. “The statement was issued by the Publicity Secretary of IPOB in the person of one Emma Powerful and widely published in the news media. ACF considers such press statement as destructive of our national cohesion. It is also a negation of our national unity comprising a people who having ended the unfortunate three (3) years of civil war, 48 years ago with “no Victor no Vanquish”, and have been working hard through the 3Rs of Reconciliation, Rehabilitation and Reconstruction introduced by General Yakubu Gowon in order to overcome what divide us. “Our faith in one indivisible Nigeria despite our moments of national instability and challenges, have continued to be reaffirmed by individuals and groups at different fora. We have also demonstrated it in words and deeds in our political sojourn. We cannot therefore jettison our collective sacrifice for primordial sentiments that would do no one any good. “The Nigerian components, like all developing nations, have challenges which can be overcome through collective hard work and due democratic process. Intimidation and threats are not viable means that give voice to people’s aspiration as it is unnecessary and unhelpful. “It would be recalled that the sit-at-home order of last year by IPOB did not only infringe on the liberty and rights of innocent and law abiding citizens residing in the South-East zone of Nigeria, it was also hijacked by hoodlums who unleashed terror on “non-indigenes”. We therefore cannot afford a repeat of such incidence. “Given the benefit of hindsight, ACF therefore calls on the South East Governors to prevail on their citizens to ignore such acts that seek to affect our sense of oneness and could also affect the economy and political stability of not only the South East but of Nigeria as a whole. “ACF further urges members of IPOB to listen to the wise counsel of their elders, States Chief Executives and elected political representatives at both the National and State Assemblies and opt for due democratic process. Our present democratic structure provides sufficient avenue for people to give voice to their aspirations and vent their concerns. Nigerians should therefore avail themselves to this opportunity rather than pander seek to heat up the polity. “ACF also calls on the Security Agencies to put in adequate measures that will ensure the safety of all citizens in every part of country. “ACF wishes Nigerians a Happy Democracy Day and as we approach the 2019 election year, we equally appeal to our political leaders to play the game by strictly obeying its rules to ensure a fair, peaceful and credible elections.” ACF said. Its not anything called group such as ACF thinks right, now where is your pathetic 3r's pronounced by the genocidist gowan since 67-70 GENOCIDE, BIAFRA will be a burning 🔥 sulfur on the GUILT and this so called ACF the generation of murderers of HAUSA/FULANI vampires will never find peace until BIAFRA is restored.